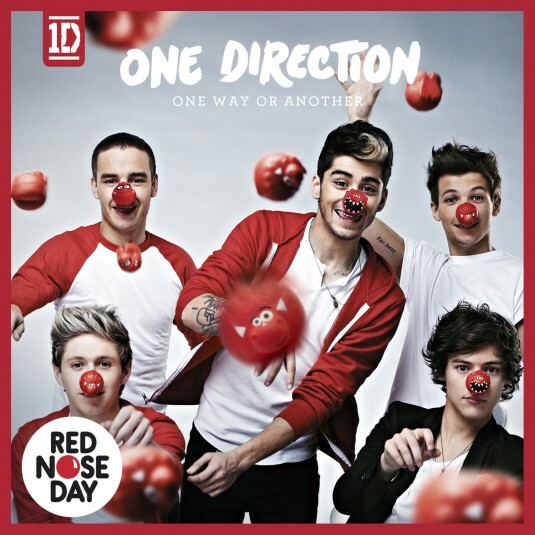 One Direction have released the video for their latest track 'One Way or Another (Teenage Kicks)'. The Blondie/Undertones cover is this year's official Comic Relief single for Red Nose Day, which will be held on Friday, March 15th. The clip sees Harry Styles, Louis Tomlinson, Zayn Malik, Niall Horan and Liam Payne touring the world, as well as visiting African projects supported by money raised through the charity. Prime Minister David Cameron also appears in the video. The band performed the song for the first time at this year's Brit Awards, held at the O2 Arena in London on Wednesday night. The group picked up the 'Global Success' prize at the ceremony in recognition of their worldwide record sales.